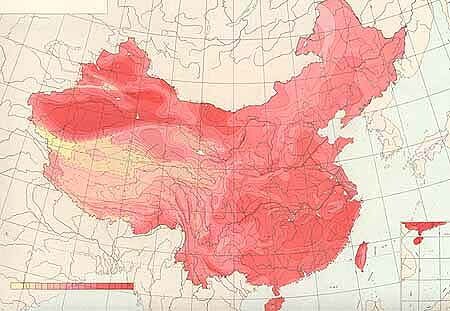 The territory of modern China is characterized by dramatic geographical diversity. Topographically, it is low in the east and high in the west. The land surface ascends like a three-step staircase. The plains and lowlands in the east and southeast constitute the first step, occupying about 12 percent of the land. Two-thirds of the country, the two higher steps, are mostly mountains and high plateaus. 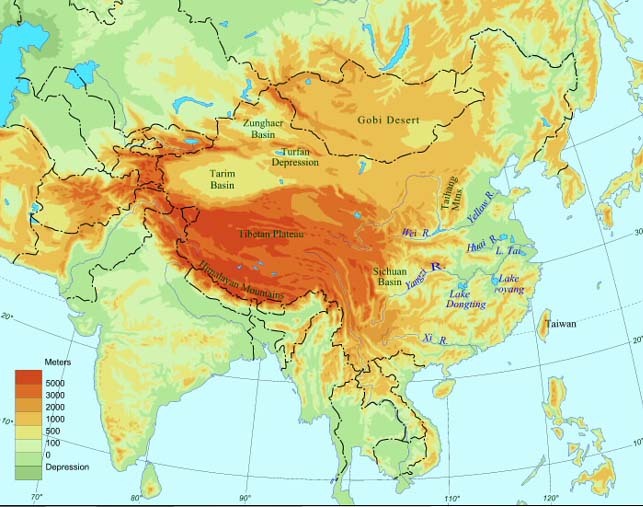 Below is a topographical map of China. What effects do you think China's topography would have had on the development and spread of Chinese civilization? China's climate ranges from extremely dry, desert-like conditions in the north and west to the rain and heat of the tropical monsoon in the south and southeast. Most of the country, however, lies in the temperate zone and experiences four seasons. Below are two maps showing the average highest temperatures in January and July. 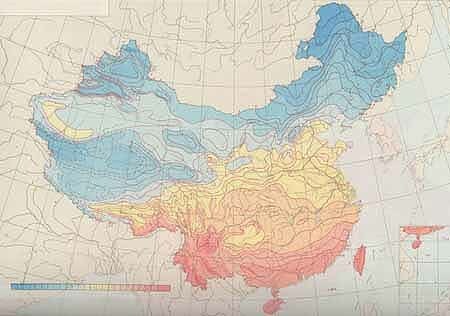 What characteristics do you observe about China's climate from looking at Maps 2 and 3 below? What would have been the most comfortable place to live? Where did Chinese civilization start? 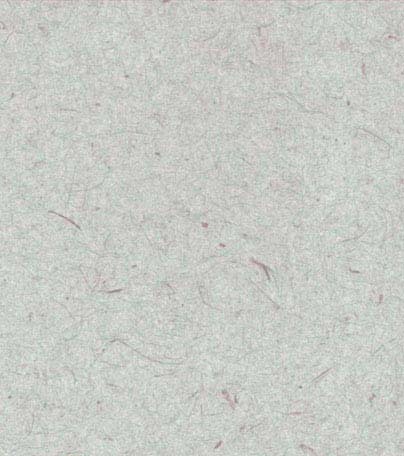 As the barely visible scale at the bottom left shows, the lowest average temperature in January is represented by sky blue (-8°F). It goes up from sky blue to light blue, then to yellow and orange, and on to pink and red (75°F). The map on the left shows that the hottest areas in China in July are Xinjiang in the northwest and the provinces in the south and southeast. The highest temperature is represented by the darkest color red (104°F), and the lowest by the lightest yellow (46°F). Today China has thirty-three administrative units directly under the central government. 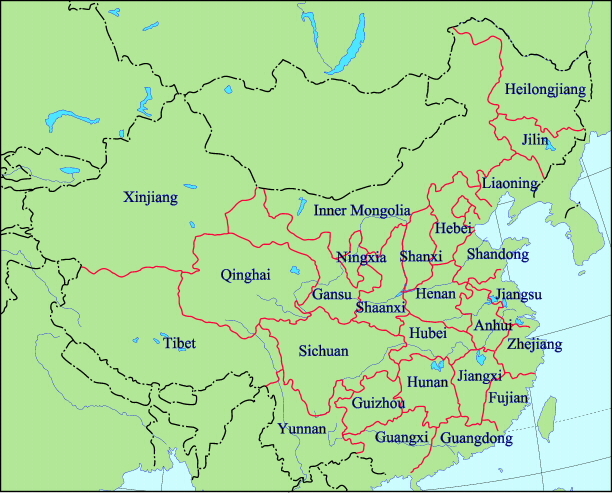 They consist of twenty-two provinces, five autonomous regions, four municipalities, and two special administrative regions. The names of most of these provinces have been used for many centuries. The government of the People’s Republic also claims the island of Taiwan, which has been ruled by the Republic of China since 1949. Contemporary China has more than 50 cities with populations of half a million or more, and about 25 with a million or more. The capital city, Beijing, is in the north. Coastal Shanghai in central China is the largest city in the country, with a population of around 15 million within the municipality. Click here to see a map showing contemporary China's major cities. To understand Chinese history and civilization, it is helpful to divide China into two large zones, China Proper and Outer China. China Proper is the area--changing constantly over time--where Chinese culture was dominant. Chinese dynasties also sometimes had control of significant regions populated primarily by other ethnic groups, areas we can consider Outer China. Map 6 below shows these two zones. The curved lines show the gradual expansion of the region where Chinese culture was dominant . 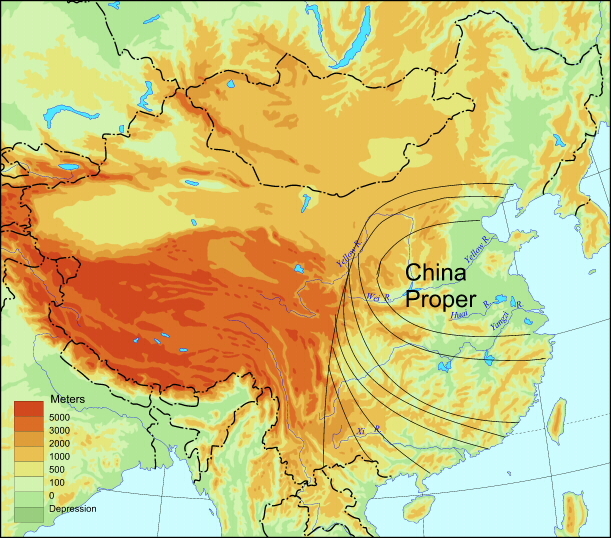 The bulk of China Proper is less than 1000 meters above sea level. With fertile alluvial soil, adequate water, and moderate temperatures, this zone is well-suited to agriculture, a key feature of Chinese civilization from its earliest stages. How would topography and climate have shaped the interaction between China Proper and Outer China?